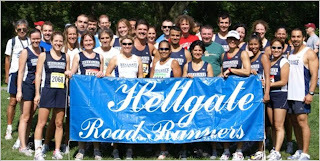 Hellgate Road Runners left their marks on the pavement at the 2008 Club Team Championships! 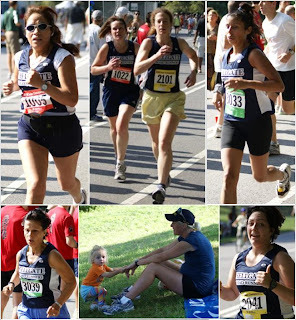 Congratulations to another fabulous year of team running. It was a bit warm and sunny, but that didn’t stop more than 36* racers from showing up to represent Hellgate! The Men’s and Women’s teams both came in 15th amongst a tough and competitive field. 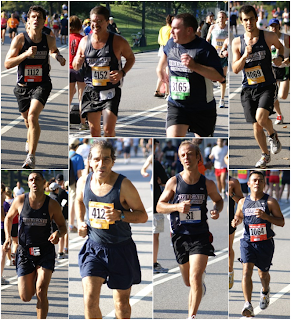 The 40+ Men placed 12th, and the 40+ Women darted into 11th place. We fielded 50+ teams as well in both genders; the men scooped up 17th, while the women coasted into an amazing 8th place! 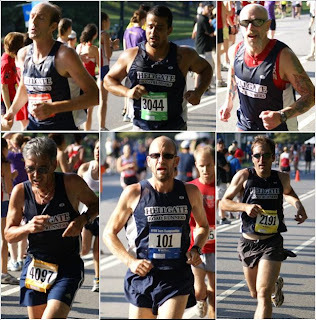 Thanks to the abundant HRR spectators that pushed everyone through that final turn! 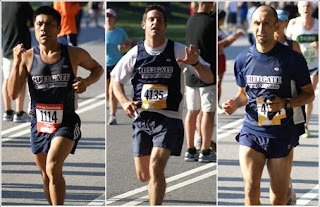 Check out the race videos and keep your eyes peeled for Andrei, Ben, & Jack, and Beverly and Meggie! 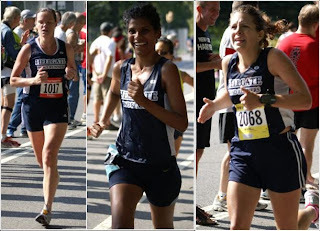 *The author knows of at least 3 individuals that ran for the team that NYRR has not accounted for in our results list. Therefore we have unofficially topped last year’s record number of participants! Great job HRR! 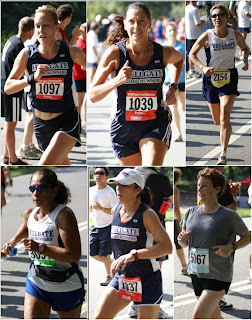 Can't wait to run in a race with you all! Great posting - amazing photos! Looks like it was a phenomenal time!